I think some people are just fishing around to see what the market bears. I would agree with that. It seems like there is such a big range that the cars will sell for, why not aim high? Some of these guys I think put the high price just to avoid the "is it for sale" question, while others start high and figure they can come down a little and if they need to negotiate. I sometimes wonder how much knowledge the sellers really have? Are they putting up a high figure just so they feels safe, and have no idea what they go for. Perhaps they have seen so many copies or clones they have tacked on a hefty sum, because they know it is a real car. Gary, here are a couple of links...and the headers were pricey. I should have visited the *Options* page in the CRG archives first.. The following statement from the first link makes it seem both were available for the complete '67/68 years..? "In the first two years, a cowl plenum air cleaner and/or headers were available as part of RPO Z28." PS. ... saying 'as part of' makes it seem they were included with Z28 option; whereas weren't they really available (with Z28) as separate options? Better wording?? "For the '67 and '68 model years, options for 1) cowl plenum air cleaner and 2) headers were available separately or in combination, only if RPO Z28 was also included." 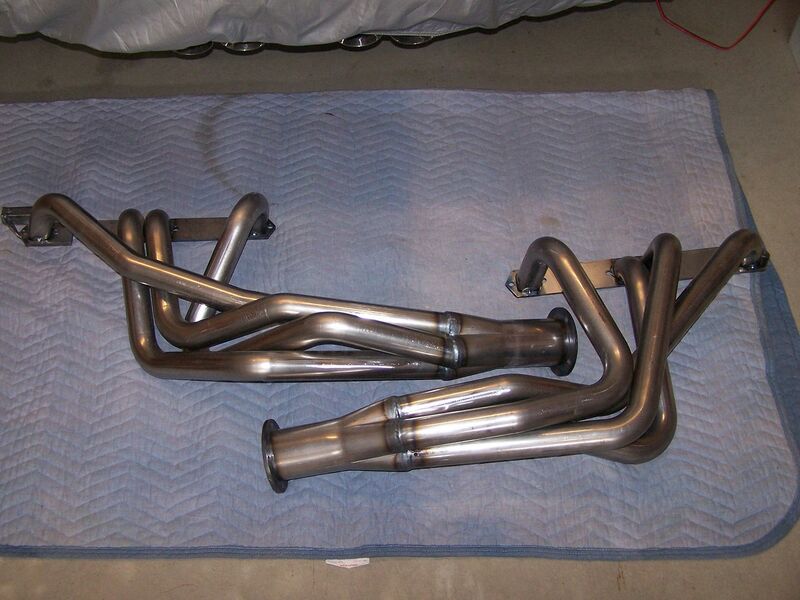 ... and yes, they were expensive... but a bit less so if you ordered both.. in fact, if one of those options were desired, I'd guess most ordered both as adding cowl induction only added $65 to the headers only list price? It appears that headers and cowl plenum may have been deleted as additions to Z28 - before the end of the model year. In the 1968 AIM, there are revisions/changes on 3-5-68 that say "SPL. EXHAUST REMOVED" and "SPL. EXH. WITH PLENUM AIR REMOVED". Exactly when that change went into effect is not known. William posted this information on the TC site years ago. If those options were removed from the options list in March, then the June car under discussion didn't come from the factory with them; they would have been added later in the car's life...? Did the car have docs? With the apparent low miles I would hope so. There are a few people that could probably tell if the cowl plenum and headers are original, but not with 100 percent certainty without docs. Like I said earlier though. there is a very late car that I am pretty sure had factory headers. Can't tell from the pics posted about whether the headers may be original or not. 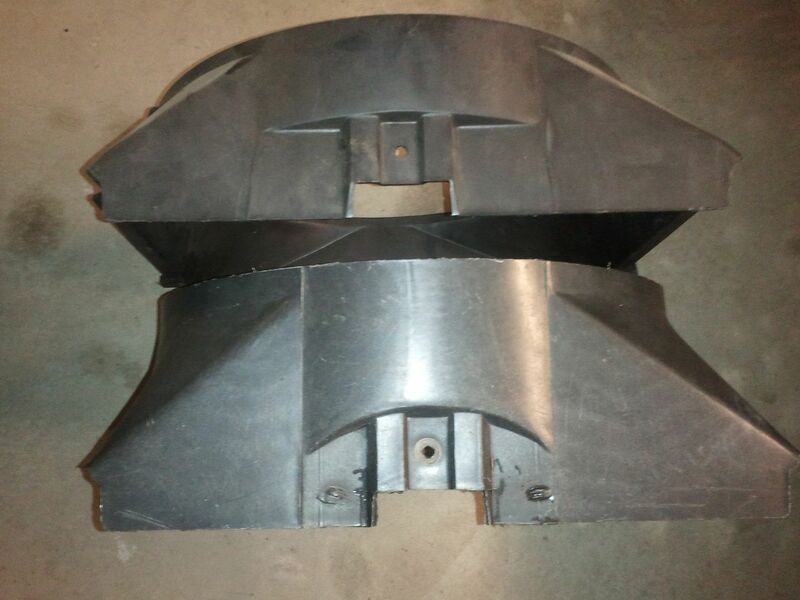 Cowl plenum was available through the parts department. I remember one 69 that had a cowl plenum installed, later by the first owner after he bought the parts. This particular car *happened* to be for sale when I saw it, but my reason for posting the photos was to get comments and opinions from the experts here on some aspects of the car. My purpose was NOT to help the owner sell the car; I didn't list the sale details in my post. Does a car 'being for sale', prohibit our using it for improving our knowledge base here? I was specifically addressing the comments on posting other cars for sale. >If it is OK I have a friend who has a 69 Z for sale and I will add pictures just in case someone is interested. Nice car! But if that stuff was original it sure was changed during its life. Cowl plenum not painted correctly, sticker was not on originally, and does not have indent for smog pump that 68's had so IMO that did not come from the factory. 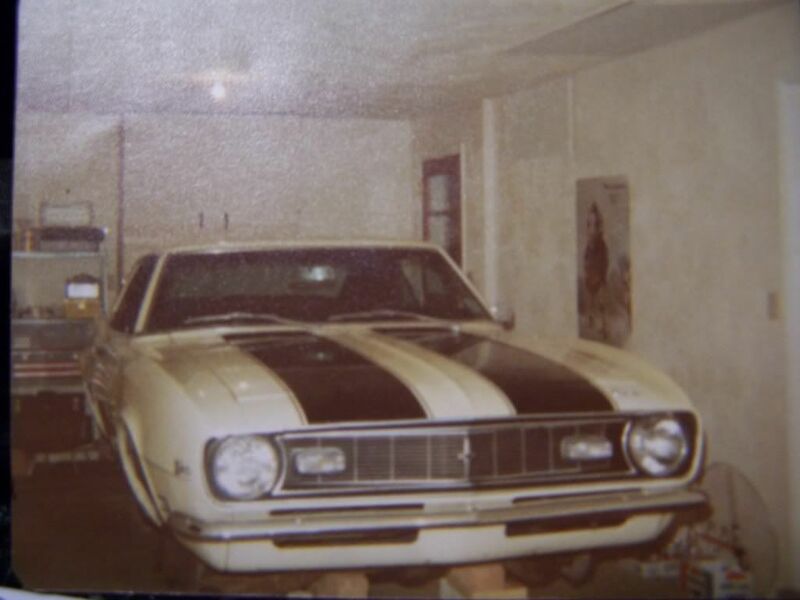 It also appears that car had a long ago restoration as many parts are not correct or original to car. Engine compartment is full of mistakes and agree 100% with Charlie as that price is steep for a nice 68Z driver. Engine pad looks fine to me so that is a good note. I have pictures of original headers and this is a picture of a reproduction set that Larry Christensen had copies made from originals. Nice Z - wish I could have seen it in person. 650 + cars from my '68 Z - could have been same day. Often wondered how many Z's and other high optioned cars got grouped together coming down the production lines - a few, or any ? The fan shroud is a later service replacement. The bottom one in the picture is an original. 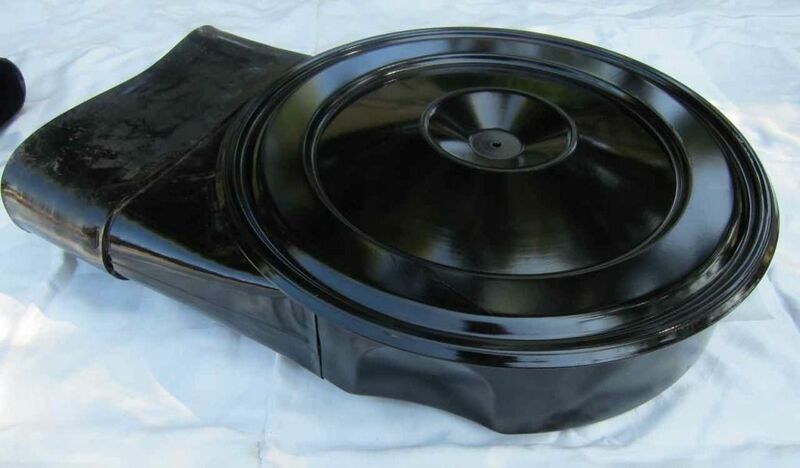 Jon Mello had posted this picture some time ago of an original NOS 68 plenum air cleaner. Ones with the indent are much harder to obtain than the 67 and most service replacement types. Note original air cowl plenums were painted assemblies so the rubber sleeve was painted also. The original plenum assembly that came with our 68 was a painted assembly also. They were a gloss black! Another thing he said that didn't sound right to me was about the spare tire (a 14")... he said it was original... I don't think I believe that, but maybe you fellas can straighten one of us out? You're correct, Gary. A '68 Z28 should have left the factory with a 15x6 "DF" coded rally wheel (spare) in the trunk. Paul, are you on vacation or something? Ocho Rios? Ya Man! And it was great to be able to scuba dive without a wet suit. Got to love the Caribbean water!